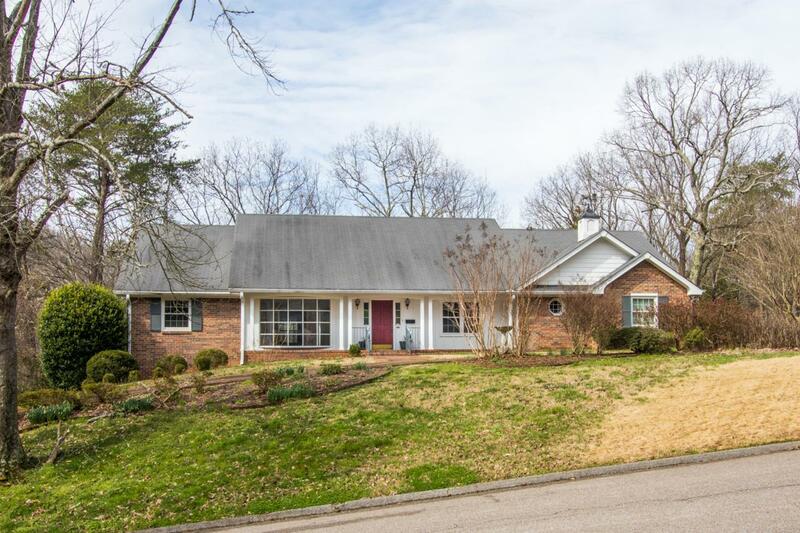 Welcome home to 1001 River Hills Drive a classic brick home situated on an acre lot and located in the convenient River Hills neighborhood just minutes to the vibrant downtown Chattanooga area. This custom built home boasts 5 bedrooms, 4 full bathrooms and over 4,400 square feet. The main level features a spacious living and dining room, cozy den with gas fireplace, the large eat in kitchen with island, large laundry and pantry area plus a full bathroom. The master Suite is also on the main level and has a huge walk in closet and large bathroom. Upstairs are 3 bedrooms, a large shared bathroom plus ample closet and walk out storage space. Downstairs is the large family room with another gas fireplace, wet bar area perfect for entertaining plus a full bathroom, the 5th bedroom and anotherlarge office space. Additional features include a 2 car garage, sunroom off the den, covered brick patio, and mature landscaping. This house has been priced to sell and is being sold "as-is" following satisfactory inspection. Seller will provide a $2,000 allowance towards new deck with acceptable offer. Ask one of our Agents how the Keller Mortgage Zero Plus Loan can benefit you in the home buying process!